Yuna was the 2017 winner of the Wm. S. Haynes Co. Texas Flute All Star Competition! Yuna performed on Show 320 in Lubbock, TX, on February 27, 2016. 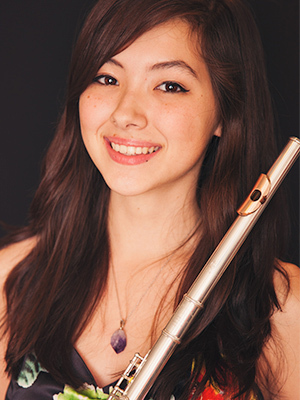 Yuna Langehennig (flute), 15, is from Lubbock, Texas, where she is a sophomore at Lubbock High School, and studies music with Lisa Gamer-Santa at Texas Tech University. She performs regularly with ensembles at her high school as well as the Youth Orchestras of the Lubbock-Symphony Orchestra. 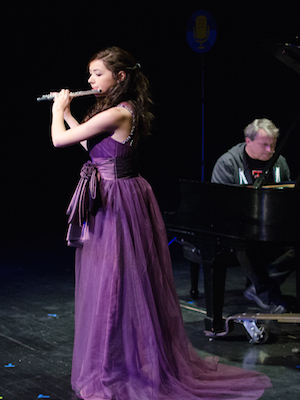 Since starting the flute in first grade, Yuna has won Outstanding Soloist at the Texas Tech Flute Festival several years in a row, and participated in numerous other competitions, masterclasses, and ensembles. Outside of music, Yuna enjoys photography and socializing with friends. Yuna is a Jack Kent Cooke Young Artist.